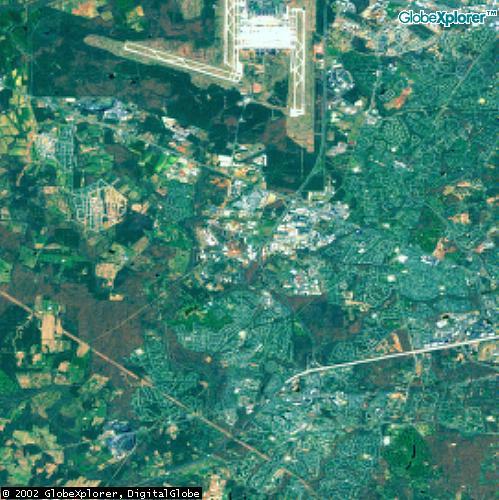 The National Reconnaissance Office, the Pentagon intelligence agency that runs military satellites, evacuated their headquarters near Dulles Airport as part of a "plane into building" exercise as the planes went off course. This was disclosed in a 2002 Associated Press article but the 9/11 Commission report did not mention it. NRO has a bigger budget than NASA. The top three "intelligence" agency budgets, according to Edward Snowden's leaked documents, are CIA, NSA and NRO. The NRO is the USA government agency that launches and operates spy satellites, including photographic satellites and electronic eavesdropping satellites (in conjunction with the NSA, CIA, DIA and the rest of the military "alphabet soup" agencies). While the NRO was created in 1961, its existence was not officially declassified until 1992, although the number of billions of dollars it spends is still secret. The fact that the US operates spy satellites was first officially acknowledged by President Carter in 1977, although this was not a secret to the Soviet Union and other USA military opponents. It is likely that the NRO and other military agencies have spent more on space than the ostensibly civilian NASA, and part of NASA (especially the Space Shuttle) has been tasked to work for the NRO, including using the Shuttle to launch spy satellites. 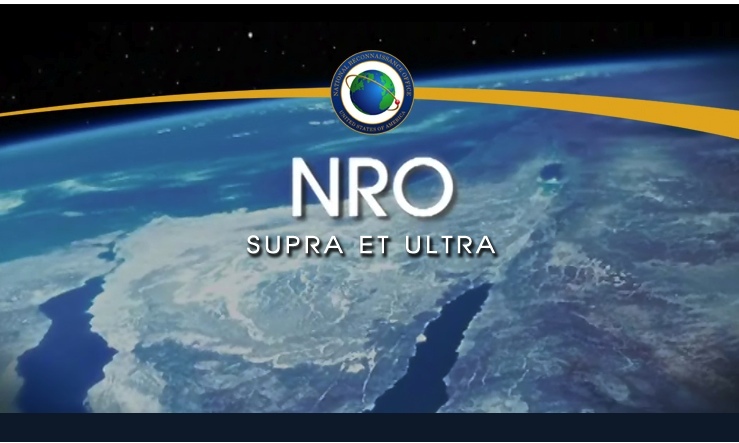 from the NRO official website: "Supra Et Ultra" is Latin for "Above and Beyond"
the selection of the Earth in the photo is centered on Sinai in Egypt. This part of the world is probably surveilled by NRO more than most other locations. 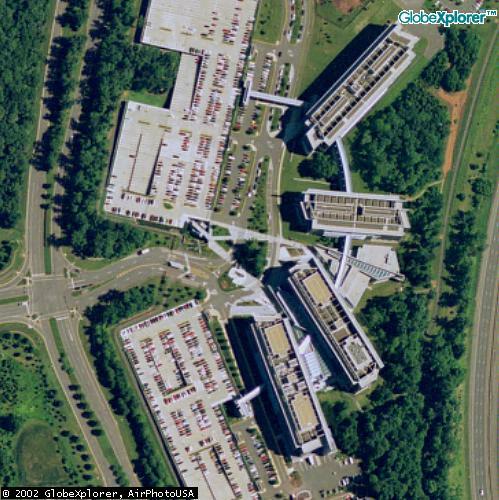 The US National Reconnaissance Office, which operates spy satellites, was conducting a simulation of a plane crash into their headquarters (near Dulles Airport in Virginia) during the September 11 attacks! This war game was not a "terrorism" exercise - but it did simulate a plane going off course (on the approach to nearby Dulles Airport) and crashing into the NRO's headquarters, control center for US spy satellites. This war game was to test the emergency response procedures in the event of this type of accident, and included practice evacuation of the buildings. It is very damning that the war game planners (of all of the war games, not merely this one) ensured that the NRO's headquarters was largely evacuated at precisely the time that 9/11 was taking place, which minimized the number of officials who were able to monitor the events via the Pentagon's satellite intelligence systems. One's "coincidence meter" goes into overload contemplating the timing of this. The 9/11 Commission Report did not have any mention of the NRO war game simulating a plane crash into their headquarters at the time that Flight 77 turned around toward Washington. "Agency planned exercise on Sept. 11 built around a plane crashing into a building"
"In what the government describes as a bizarre coincidence, one U.S. intelligence agency was planning an exercise last Sept. 11 in which an errant aircraft would crash into one of its buildings. But the cause wasn't terrorism -- it was to be a simulated accident. "Officials at the Chantilly, Va.-based National Reconnaissance Office had scheduled an exercise that morning in which a small corporate jet would crash into one of the four towers at the agency's headquarters building after experiencing a mechanical failure. The agency is about four miles from the runways of Washington Dulles International Airport. Adding to the coincidence, American Airlines Flight 77 -- the Boeing 767 that was hijacked and crashed into the Pentagon -- took off from Dulles at 8:10 a.m. on Sept. 11, 50 minutes before the exercise was to begin. It struck the Pentagon around 9:40 a.m., killing 64 aboard the plane and 125 on the ground. 5 June 2003: Why were 3000 NRO employees sent home after 9/11? There have been a number of disinfo limited hangouts floating around, all of them designed to offer apparently revealing inside details of 9/11 but actually serving the purpose of whitewashing evidence of US govt. complicity. One which has been hanging around for a while centers on the terrorist training exercise that the NRO (National Reconaissance Office) had scheduled the same morning of the attacks. The super-secret NRO happens to be the agency which operates US spy satellites. The limited hangout build around this is that the 9/11 "terrorists" somehow learned about the secret exercise in advance, and "piggybacked" their own attack on the same date in order to confuse US defences. This is used as a supposed explanation for lack of action on prior warnings, failure of air defences to operate, etc, on the assumption that military and intel personnel thought that everything going on was part of the the "exercise". I don't know of any serious 9/11 researcher who finds this a credible overall theory, given the fact that there is an abundance of evidence pointing beyond such a scenario, to official complicity and specific prior knowledge.